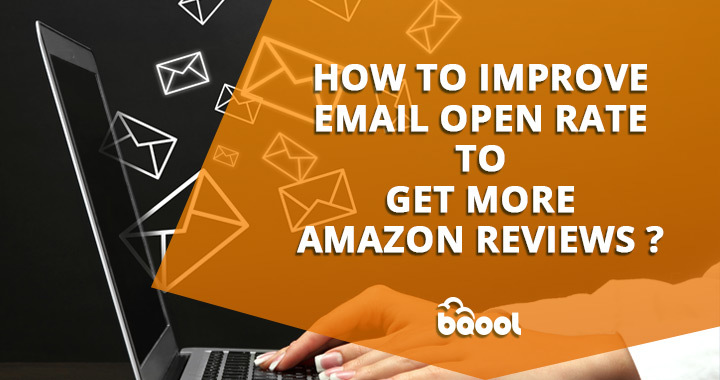 How to Improve Email Open Rate to Get More Amazon Reviews? The success of an email marketing campaign is determined by its email open rate. If your email recipients don’t open your emails, no matter how well written your email content or how powerful your call-to-action is, no one will read it. Because of that, you cannot generate new leads from email marketing. So, what is a good email open rate? The average open rate for e-commerce industry is 15.66% in a report Mailchimp released last year. Email open rate shows the percentage of sent emails opened by your recipients. For example, if an email campaign sent 100 emails, 90 of which were delivered, the rest resulted in a bounce, your email open rate would be 22.22%. Getting positive seller feedback and product reviews is a common challenge many Amazon sellers face due to the restrictions placed on the buyer-seller messaging service. Amazon buyers opting out emails only further complicates the issue of low email open rate. Working your way around Amazon email policy can be tempting, but it is not a viable solution to improve your email open rate. Your emails to buyers must comply with all policies and regulations set by Amazon. The best solution to improve your email open rate is to identify the factors that are causing your emails to go unnoticed. Here are three of the most common factors that could impact your email open rate. 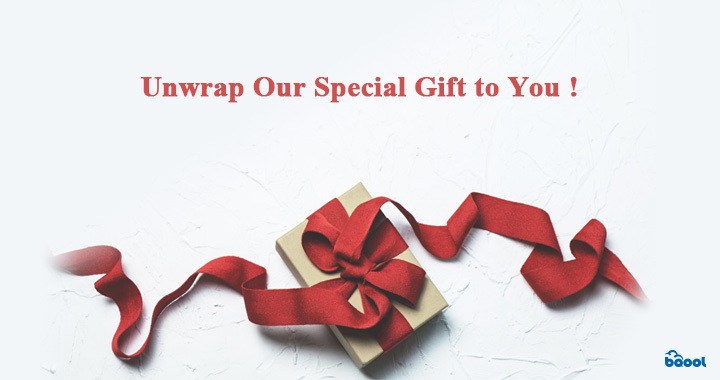 This is the first thing that your recipient will see when receiving an email from you. The first impression is the most critical, and you only have a few seconds to grab their attention to open your email. Timing does matter! If your emails arrive in buyers’ inbox at the right time (the time they usually check their emails), there is a higher chance for your emails to be opened and read. No one likes being spammed with multiple emails coming from the same person in a day. You have to figure out what types of email should be sent to keep your customers engaged. Since one of the main goals of your email campaign is to get more positive feedback and reviews, you should consider sending feedback/review request email when the order is delivered. If there is no response after your first email, you could send another one to remind the buyers about the feedback and review request a few days later. Traditionally, A/B testing is one of the best methods for improving email marketing performance. Since the advent of AI technology, the application of AI has been seen in various industries. AI has also opened up new possibilities for email marketers to improve their email campaign performance, thus rendering A/B testing a thing of the past. At the end of last year, BQool introduced two new features to Feedback Central “AI-Powered Email Subject” and “AI-Powered Smart Schedule”, and we’ve been getting overwhelmingly positive feedback from our users since the update. 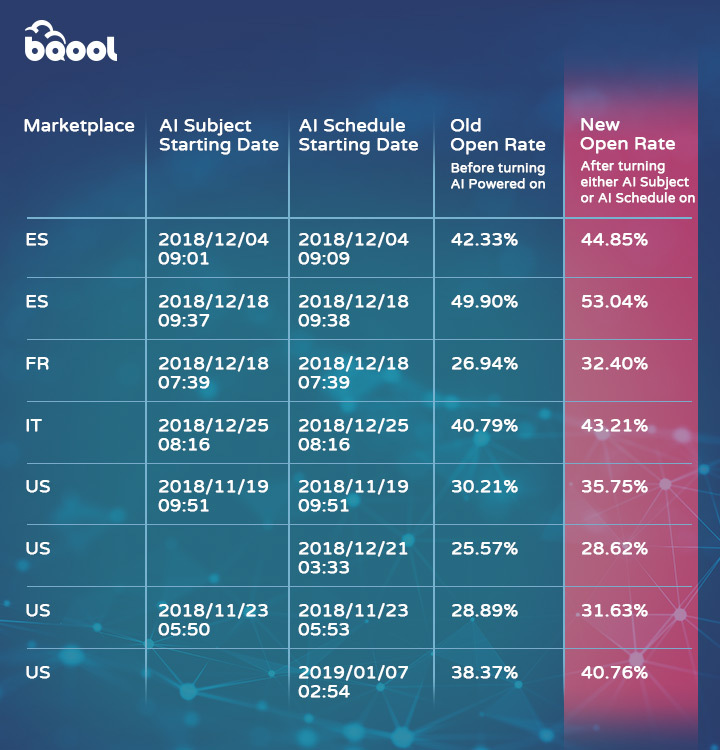 The following before and after comparison table shows the effectiveness of the AI-powered features that have drastically improved email open rates for Feedback Central users. As mentioned earlier, a successful email campaign should have its email open rate above 15.66%. BQool Feedback Central aims to help users achieve a higher open rate than 15.66% with AI Powered solution. Soliciting positive feedback takes effort and time, so you need the best feedback software to achieve your goal. With AI-Powered Feedback Central, it helps you get positive feedback and reviews from buyers efficiently. BQool Feedback Central can also free up your time from manually sending emails to your buyers so you can focus on tasks that are crucial to the success of your business. Can’t wait to try out Feedback Central and get more reviews and feedback?